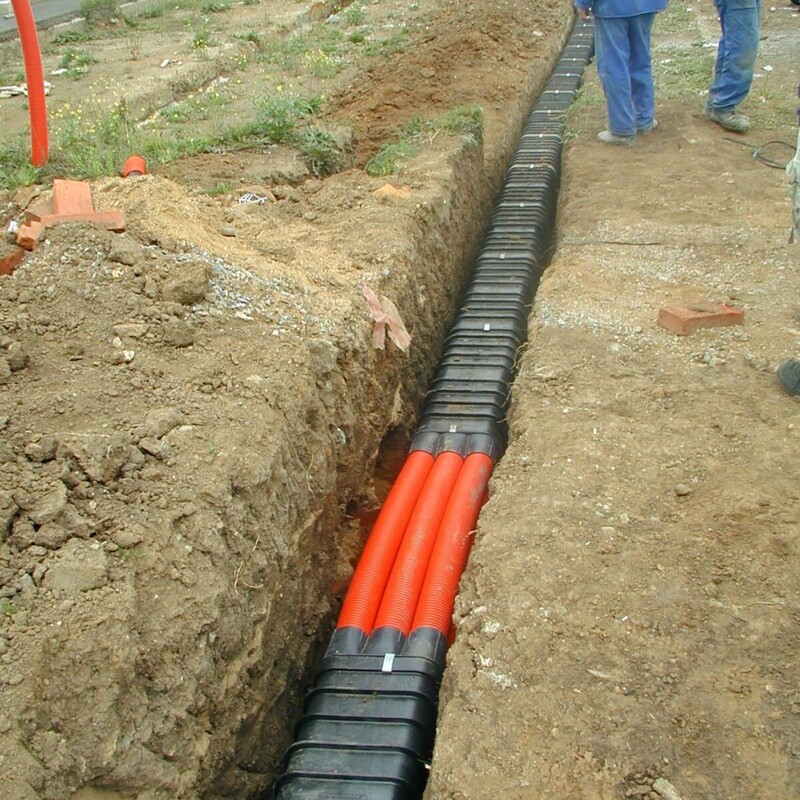 Multi-channels are intended for the construction of cable channels and allow for easy pulling in of low and high voltage cables, telecommunication cables, control cables, fiber optic cables, carrier pipes, etc. 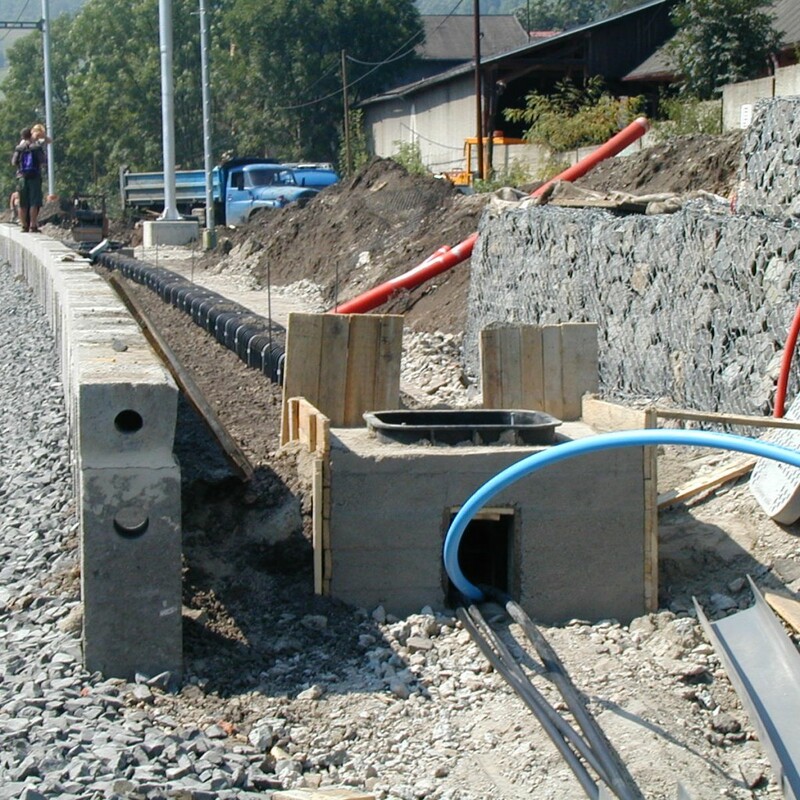 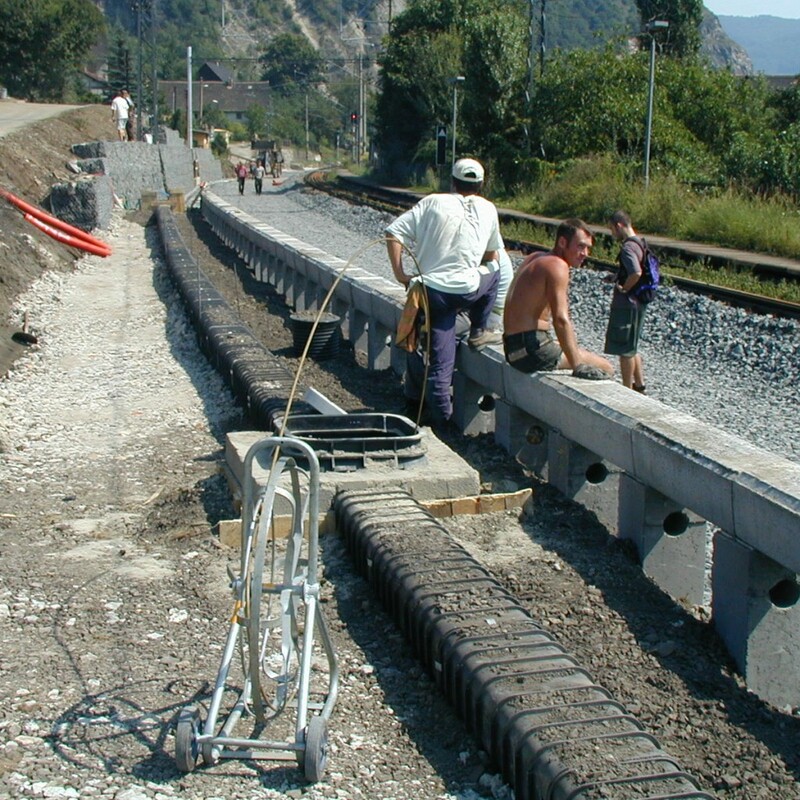 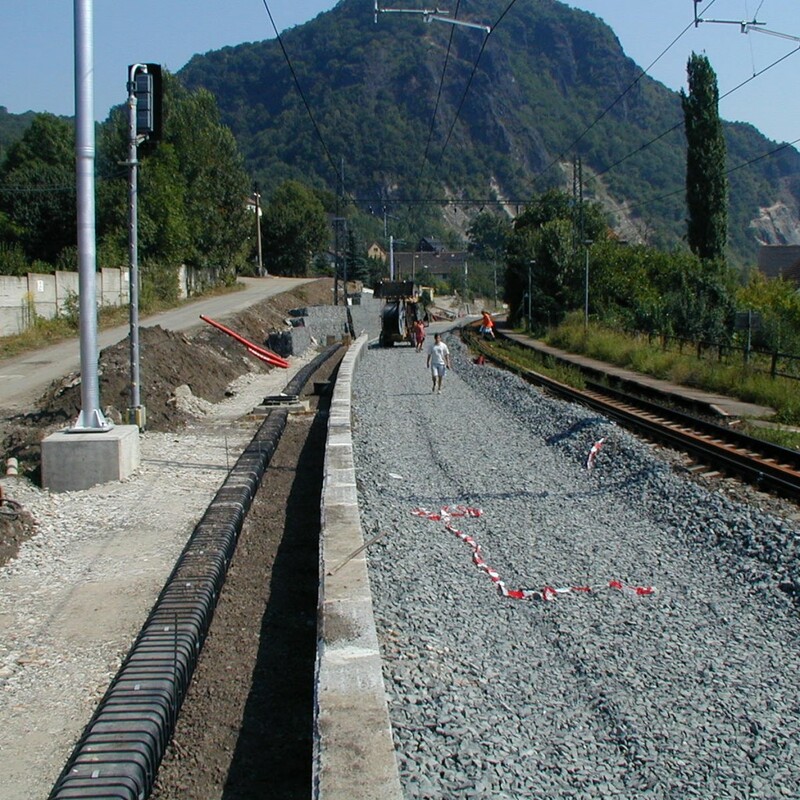 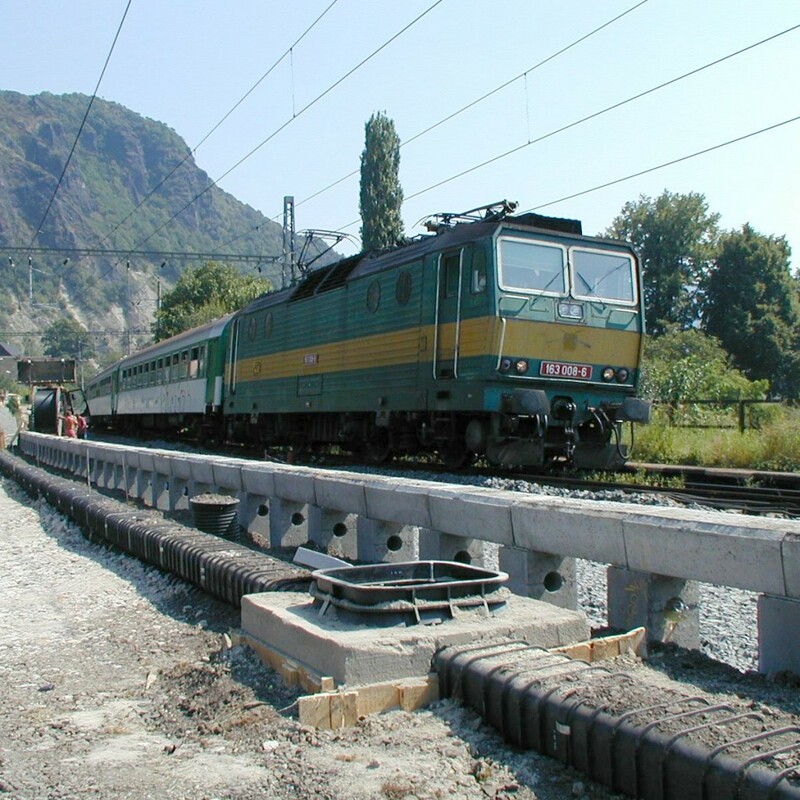 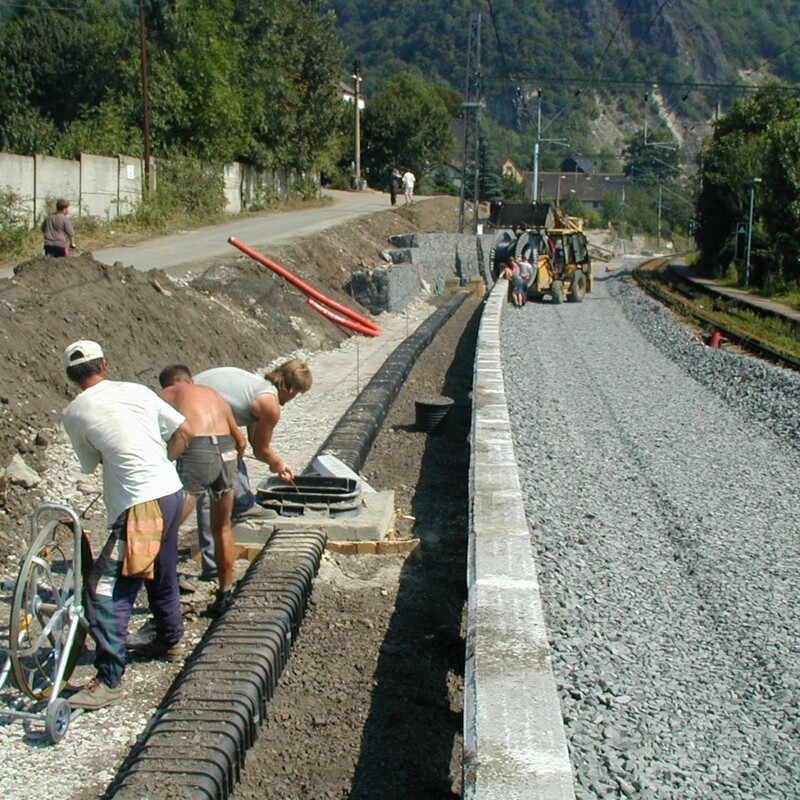 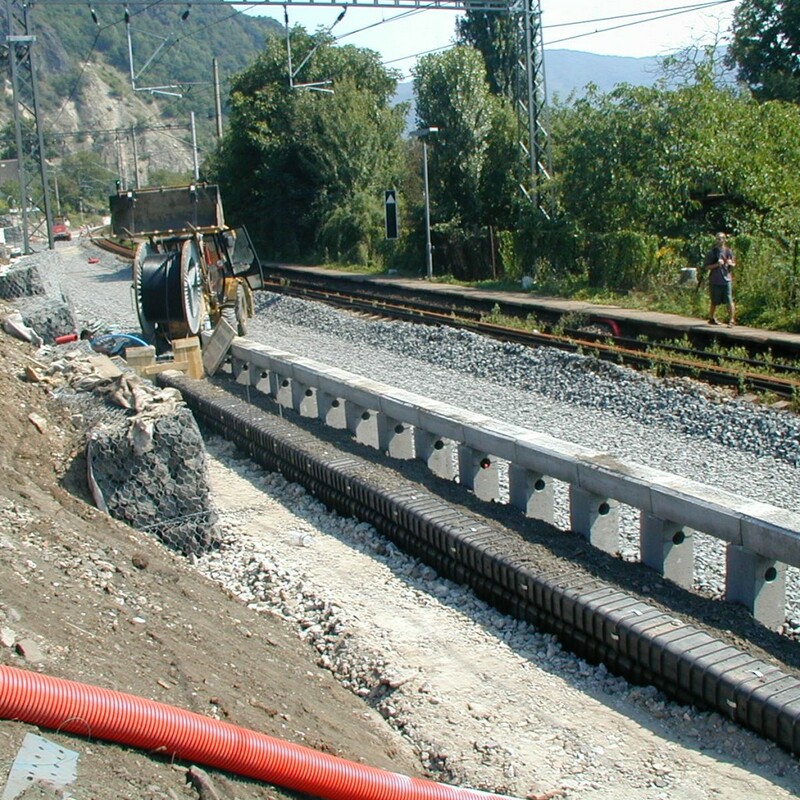 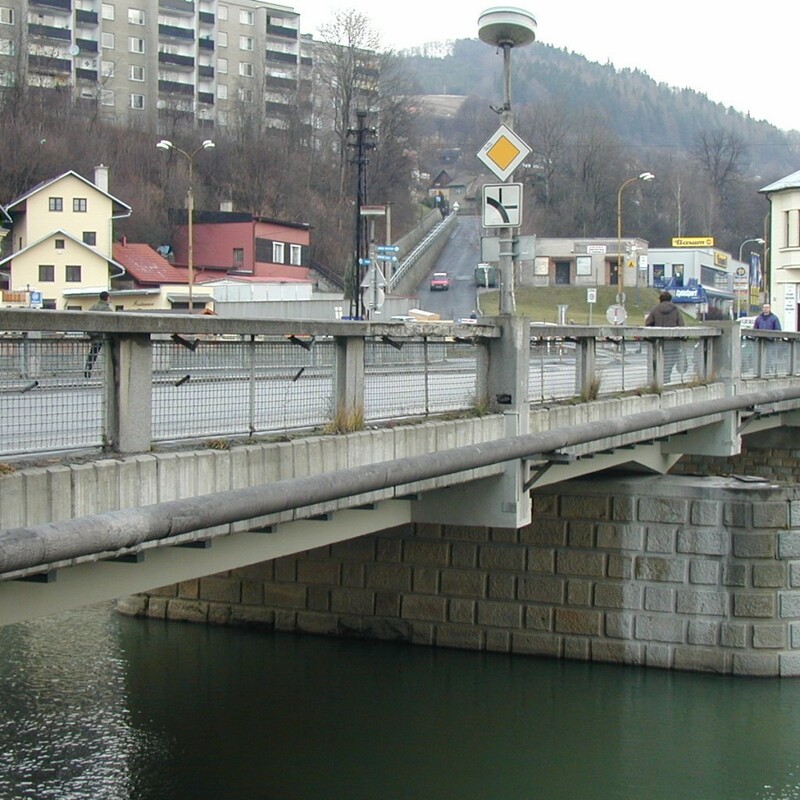 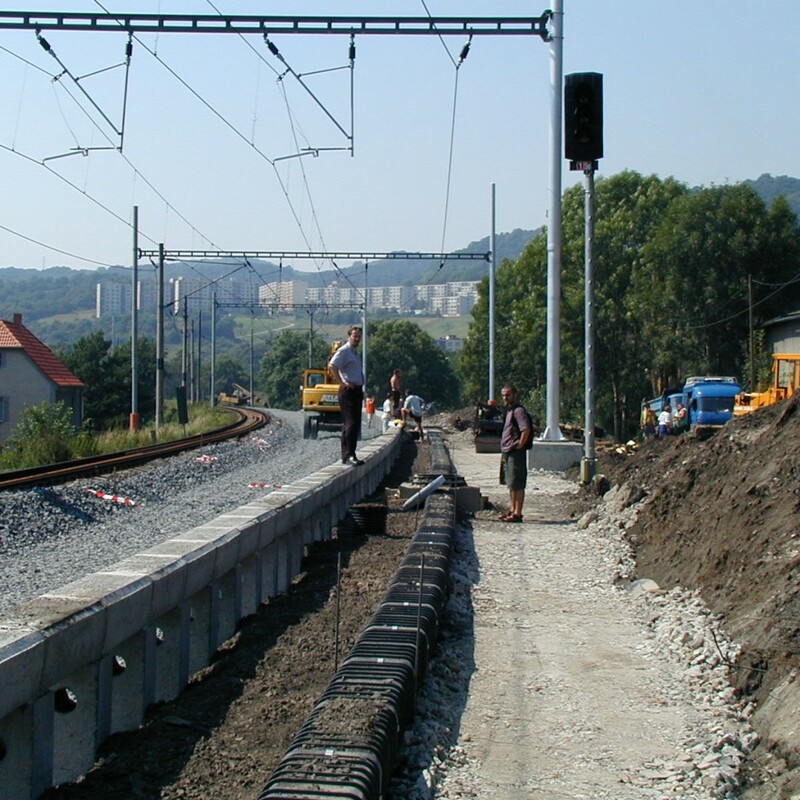 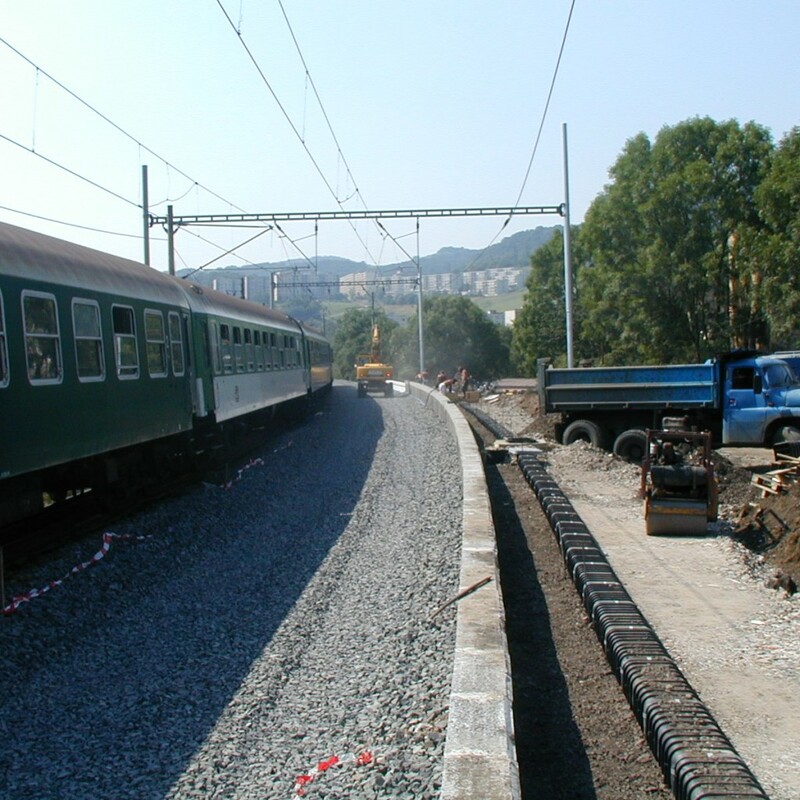 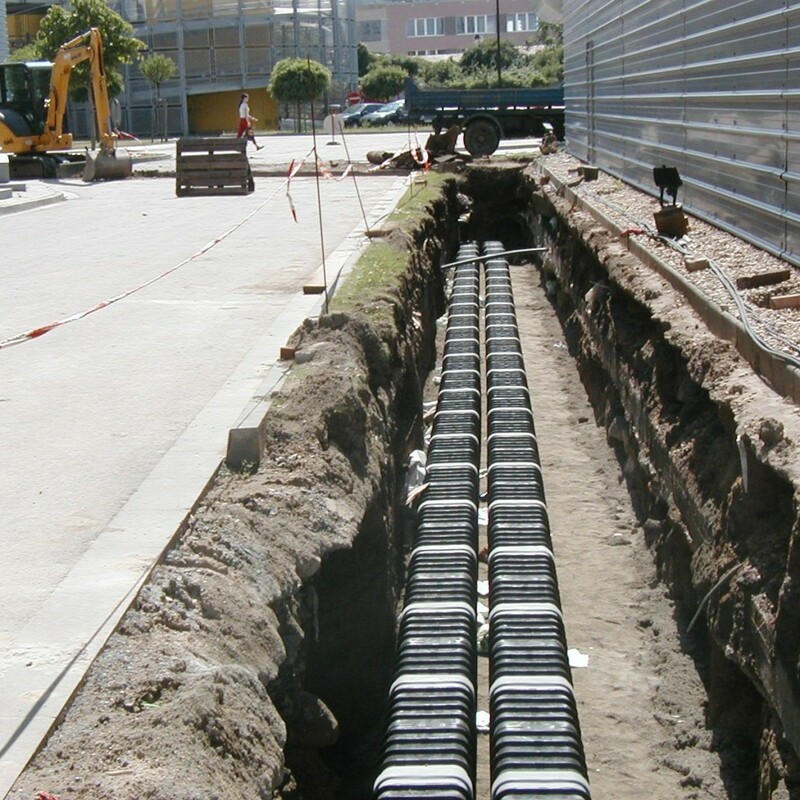 Multi-channels can be also applied to be laid above ground, inside underground passages and tunnels, or to be laid on bridge constructions and wherever high requirements are specified for pace of cable laying, cable arrangement and clarity of the system. 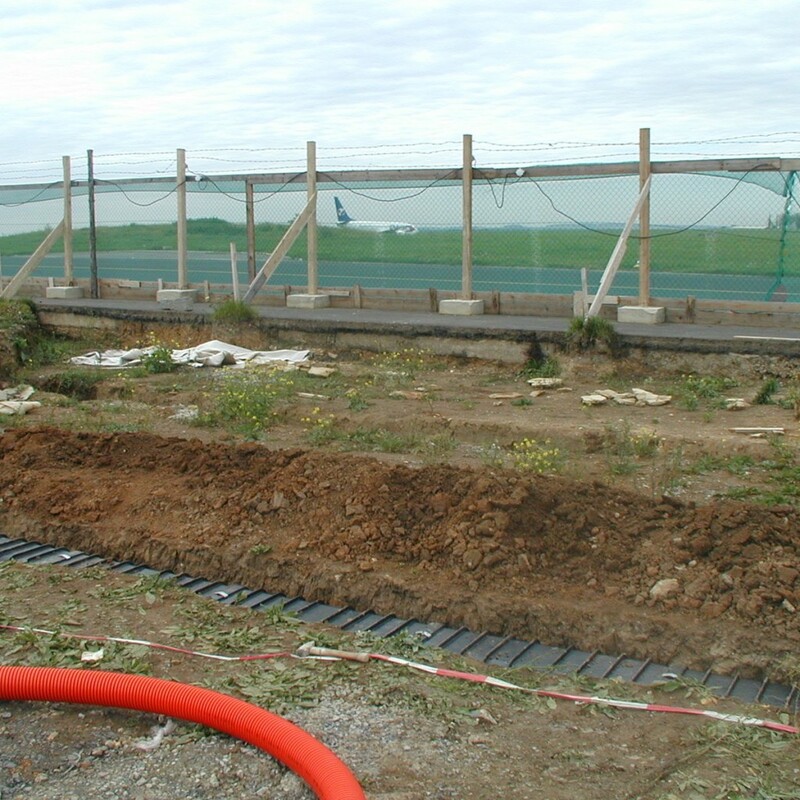 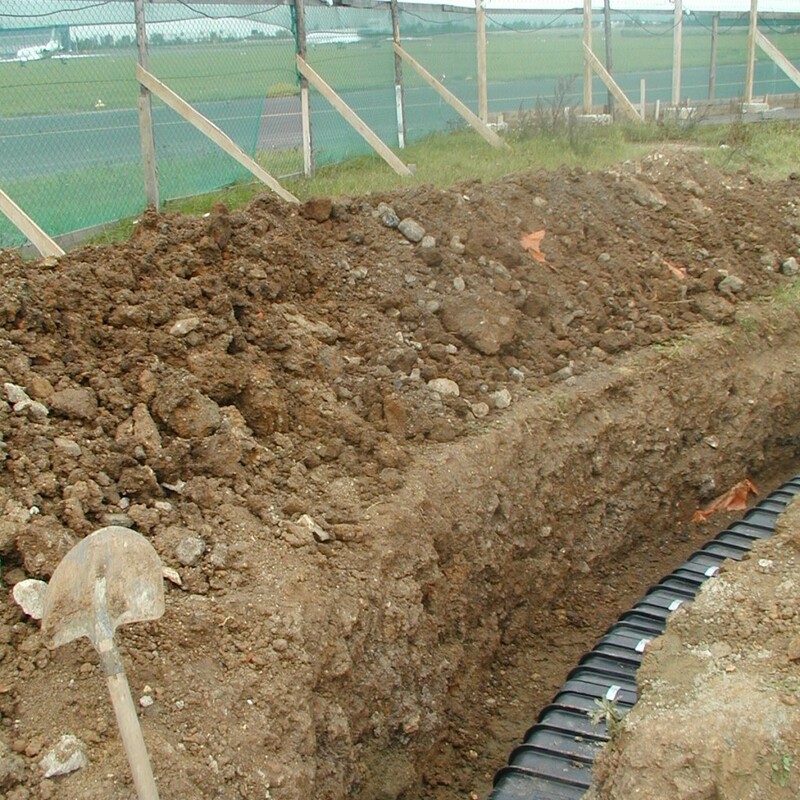 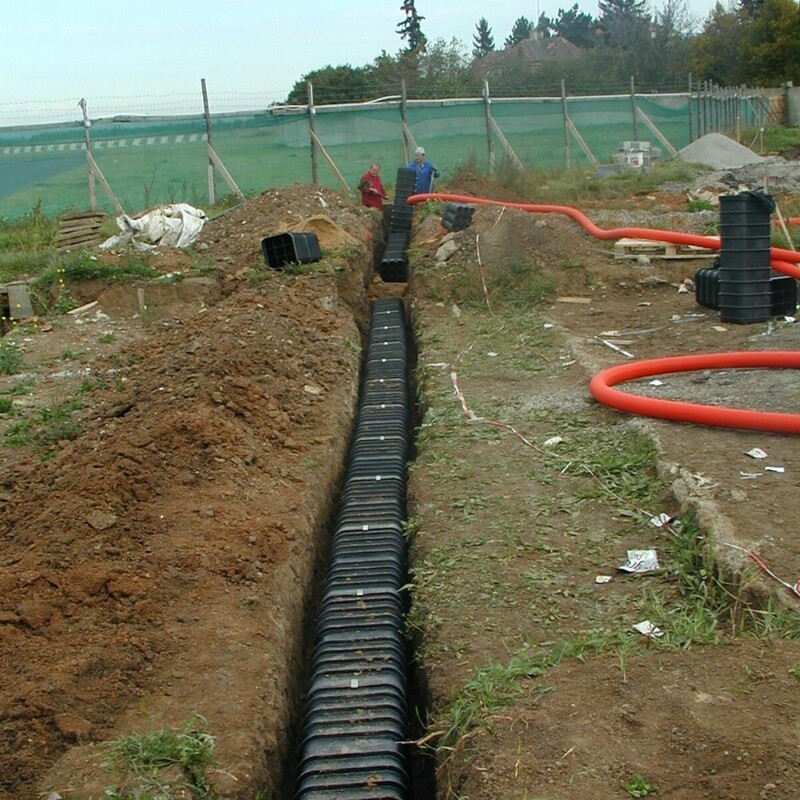 Laying underground telecommunication routes and power network cables frequently requires that the cables should have protections in case of mechanical damages (in the case of optical fiber cables it is an essential requirement). 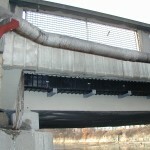 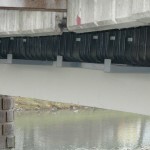 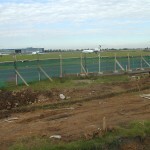 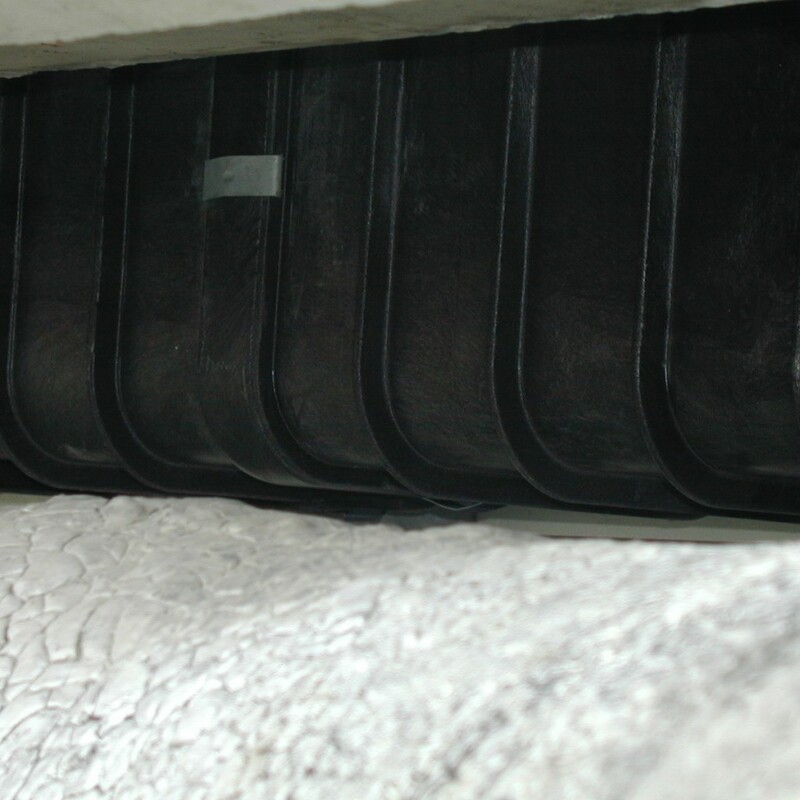 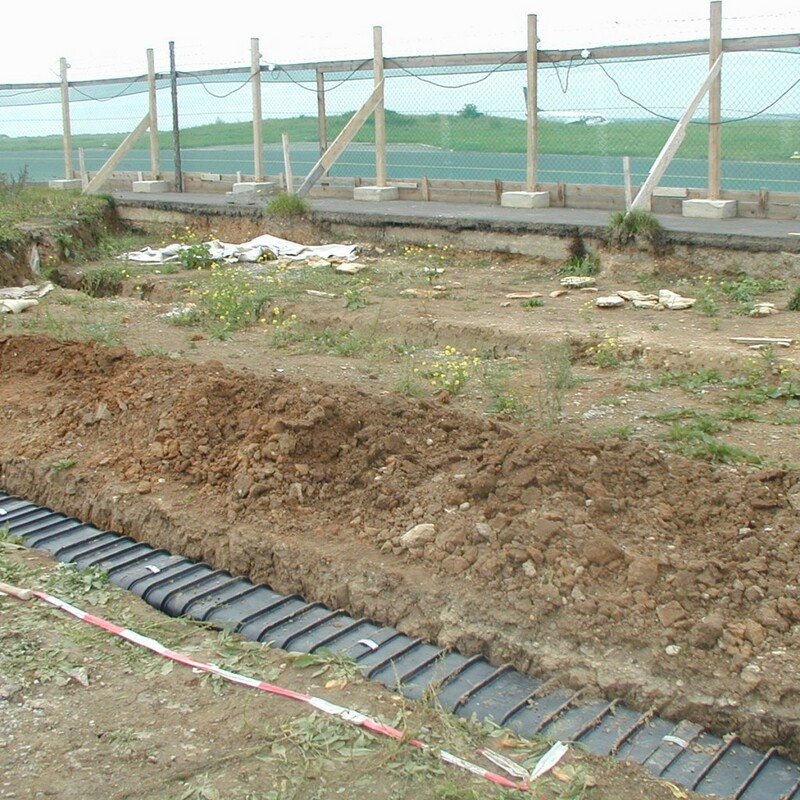 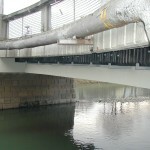 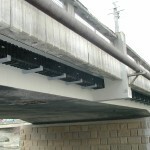 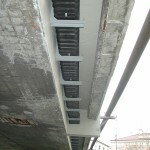 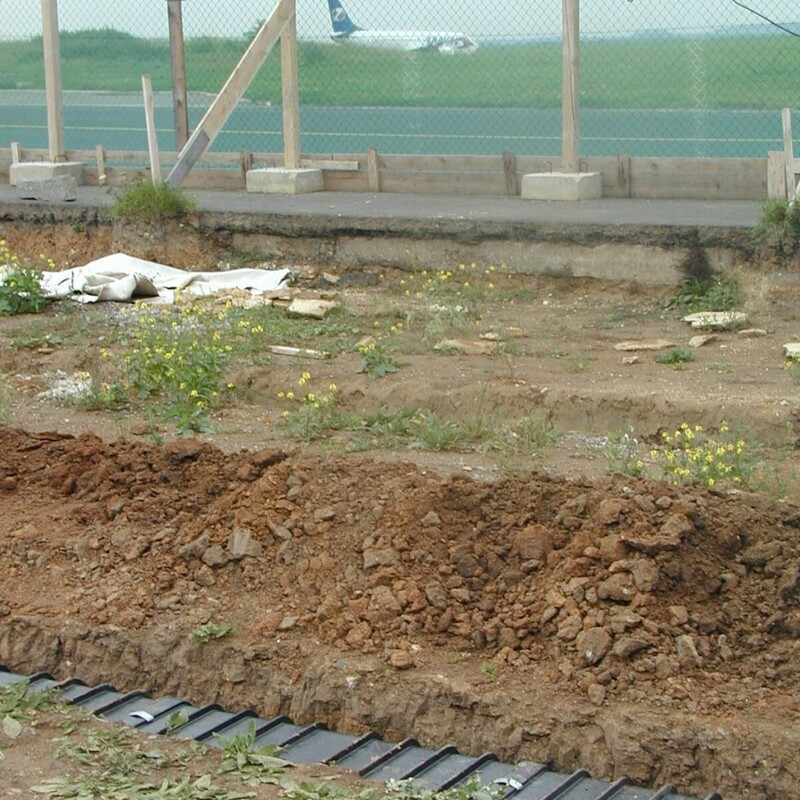 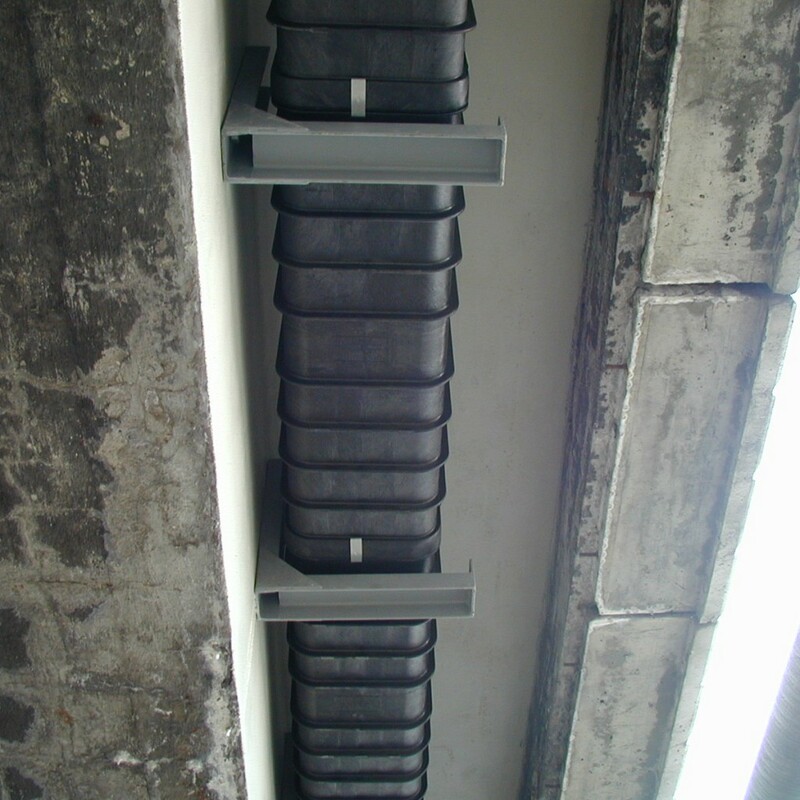 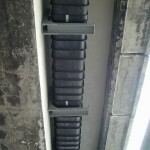 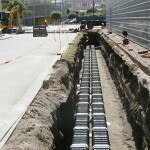 Mechanical protection is achieved thanks to laying cables inside, for example, cable trays, RHDPE carrier pipes, etc. 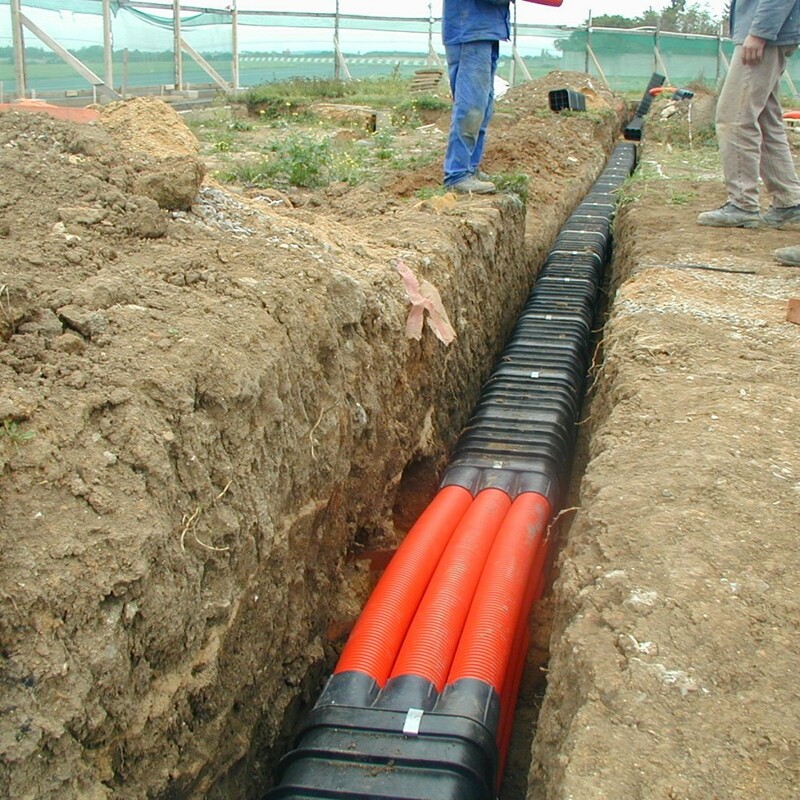 The advantage of currently most popular mechanical protection of cables with the use of the RHDPE carrier pipes is that the cables can be pulled out or pull in at any moment after such cables have been laid. 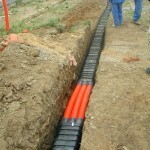 The cable can be, in case of need, replaced by new ones. 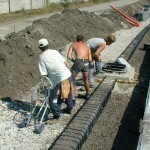 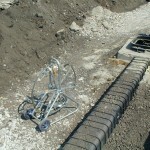 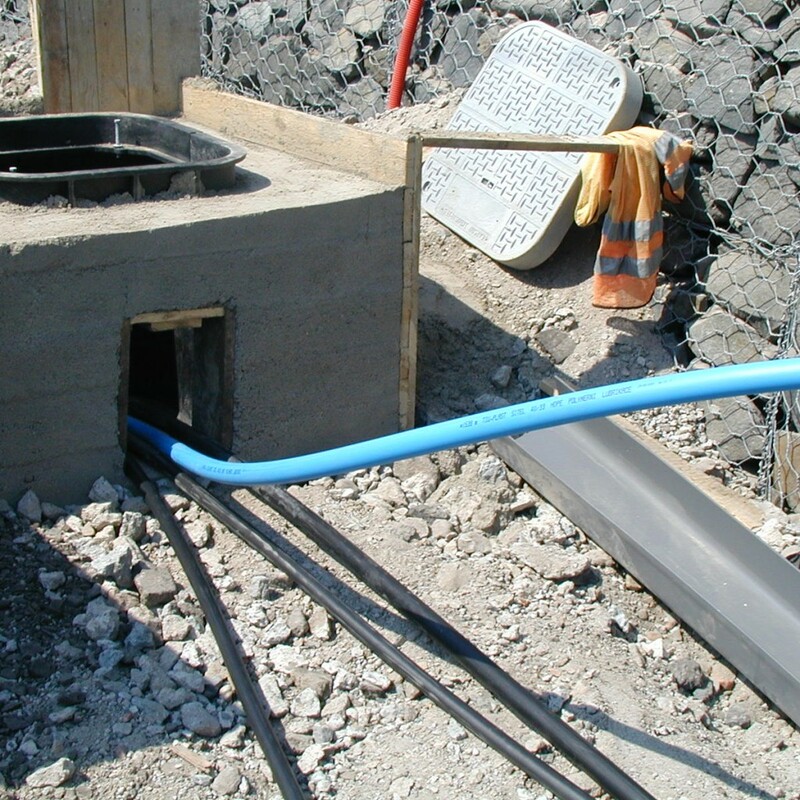 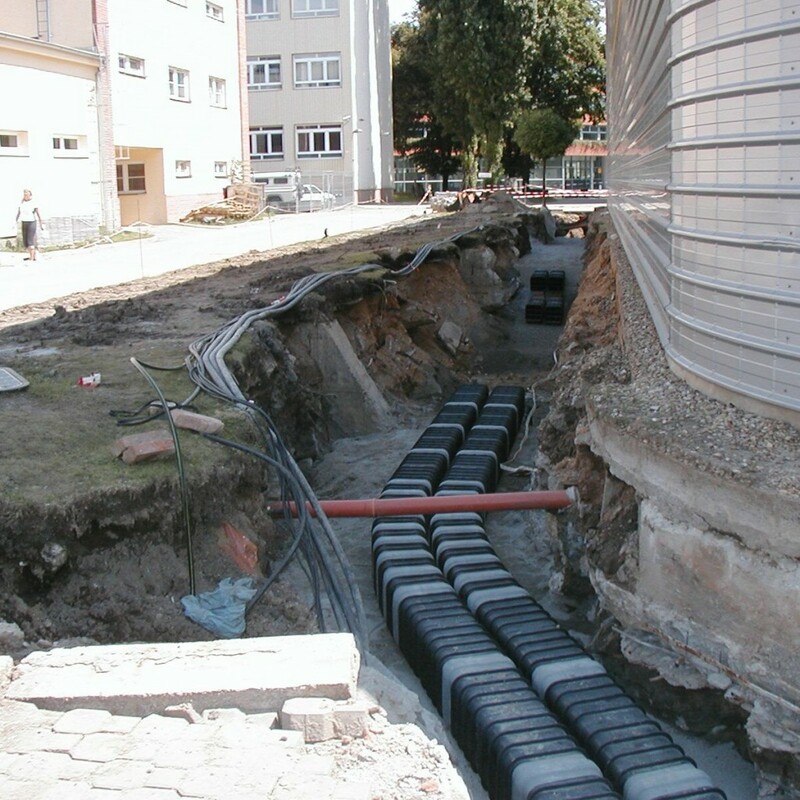 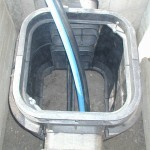 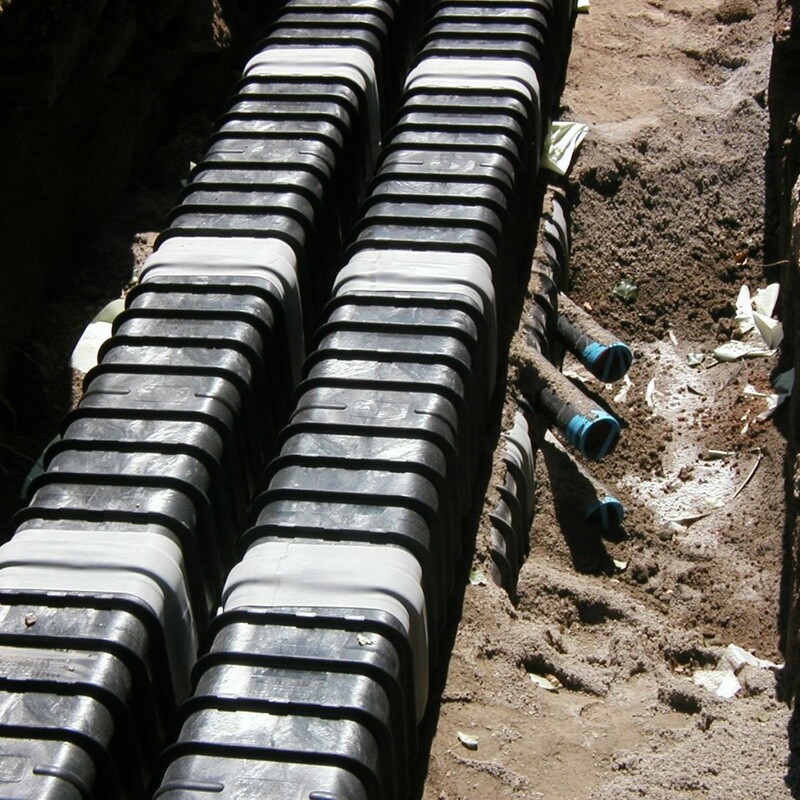 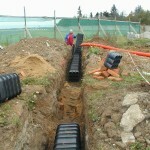 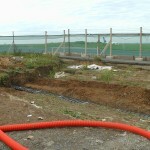 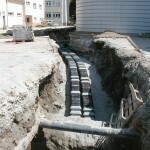 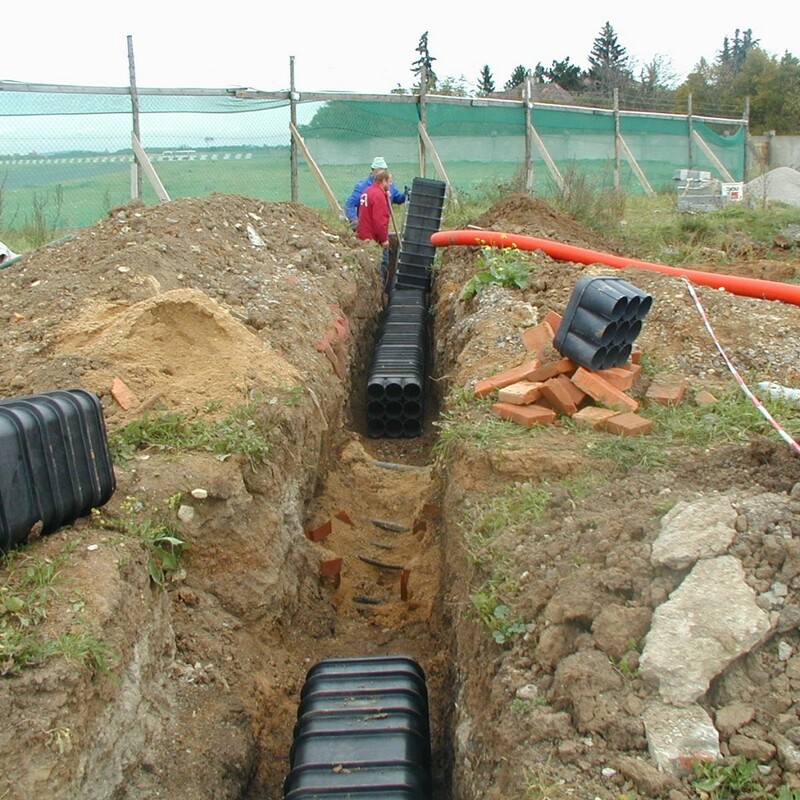 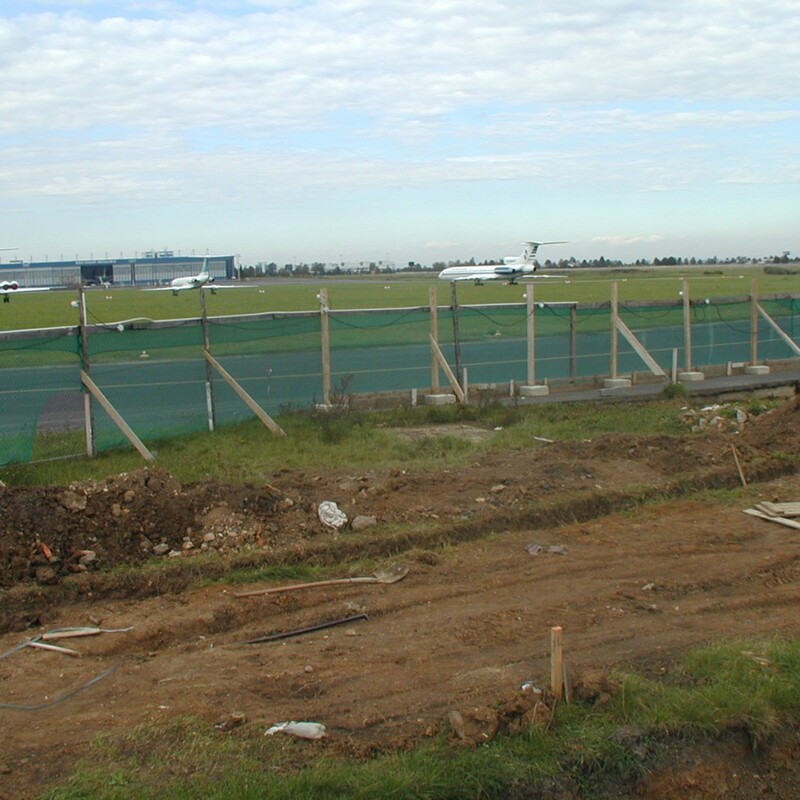 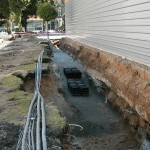 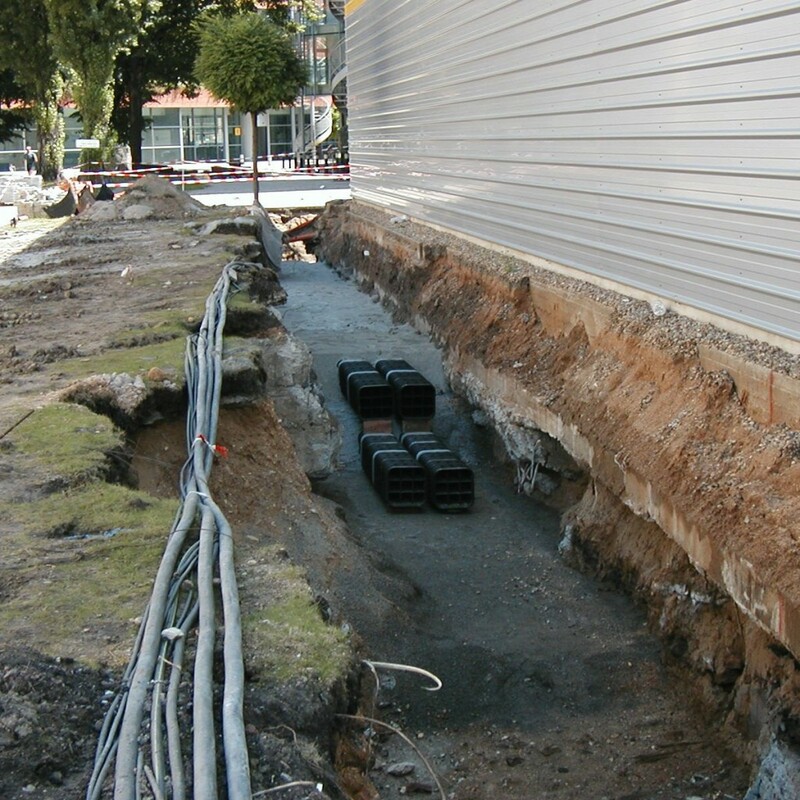 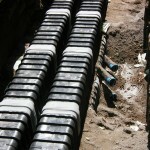 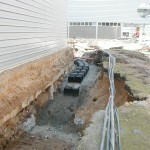 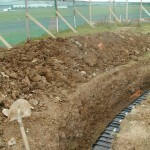 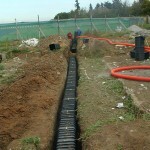 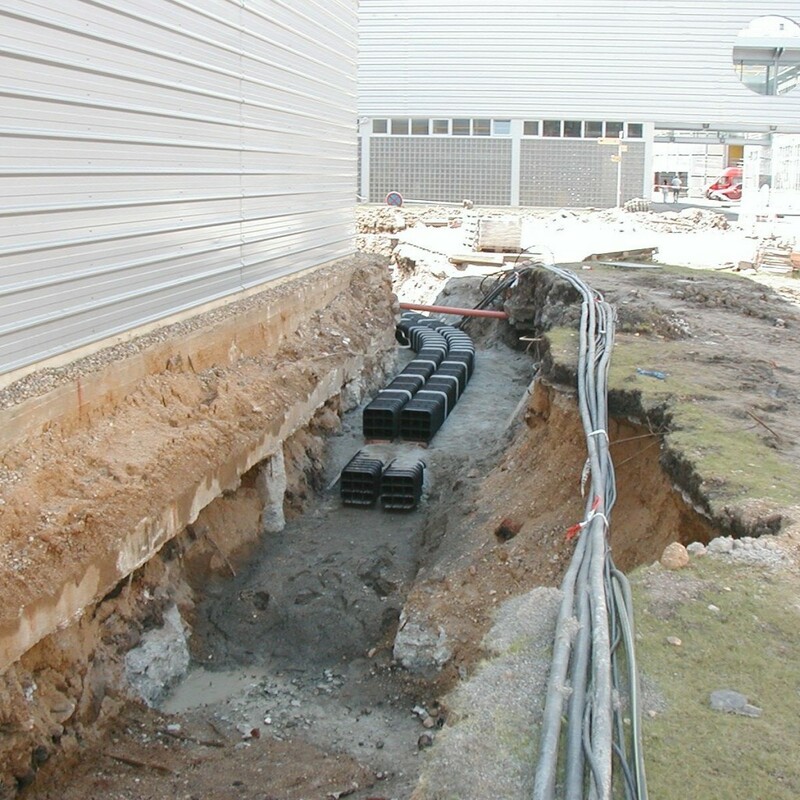 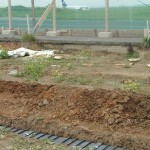 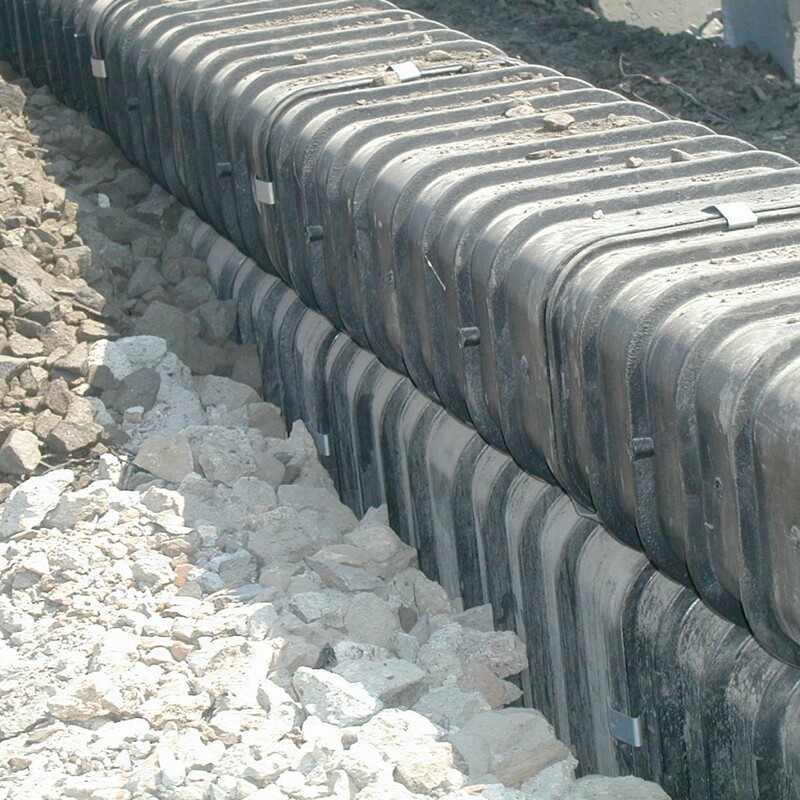 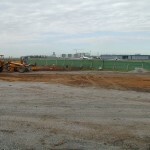 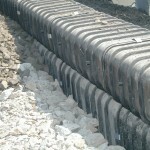 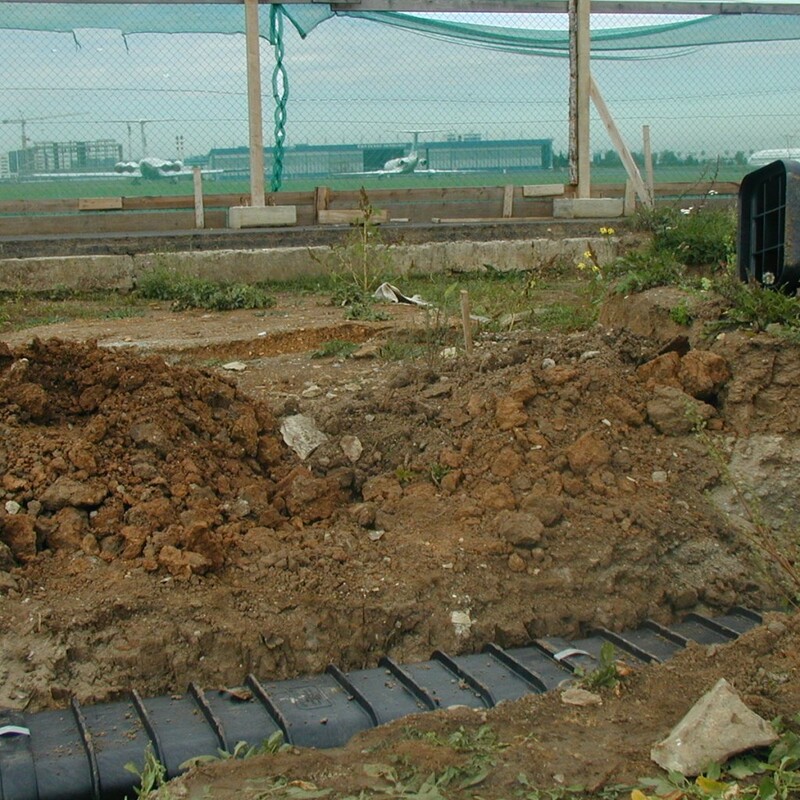 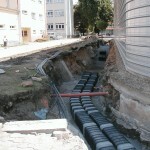 During cable routing it often happens that large amounts of plastic carrier pipes are laid inside an excavation. 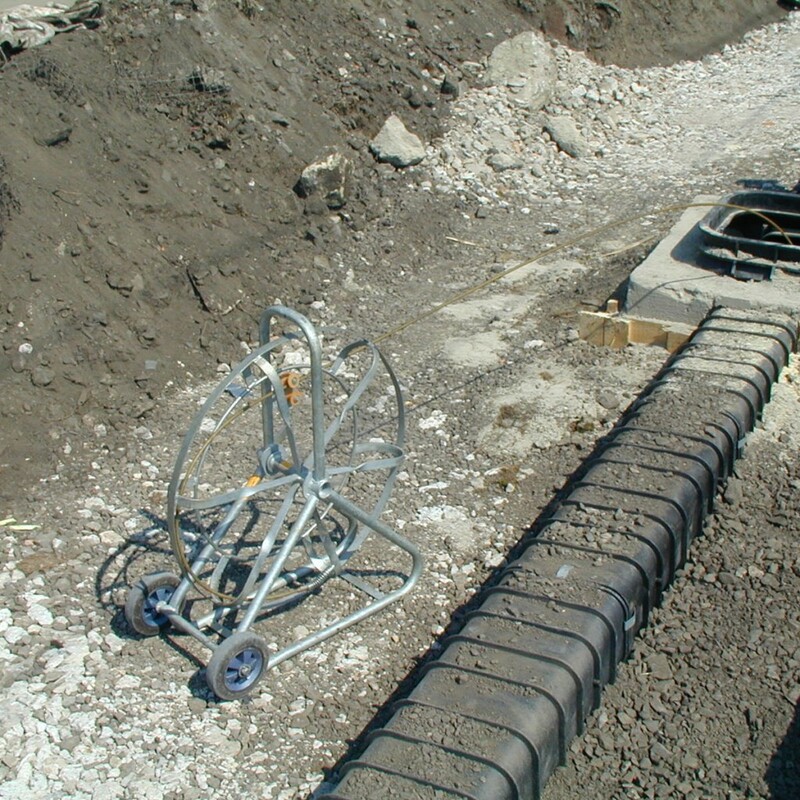 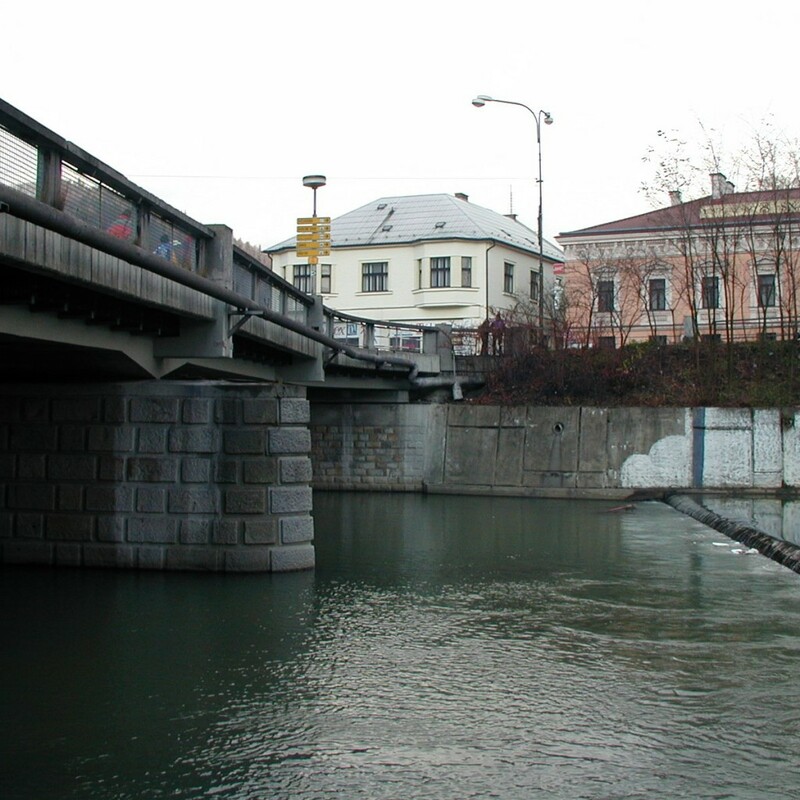 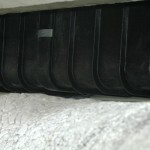 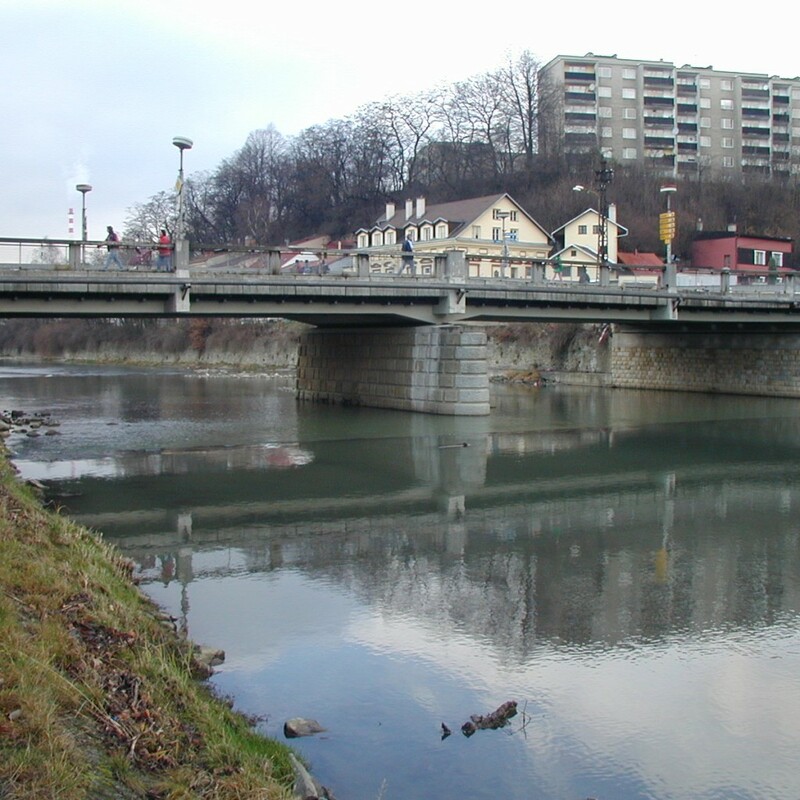 It is connected with certain problems such as the necessity of full identification of individual pipes, the way of their spatial routing inside an excavation or their location in relation to other pipes. 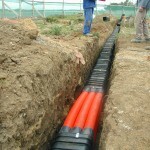 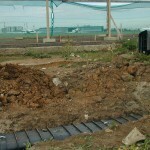 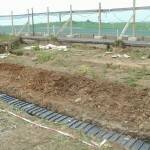 (pipes during laying tend to sink from the upper layer towards the lower one and to cross each other). 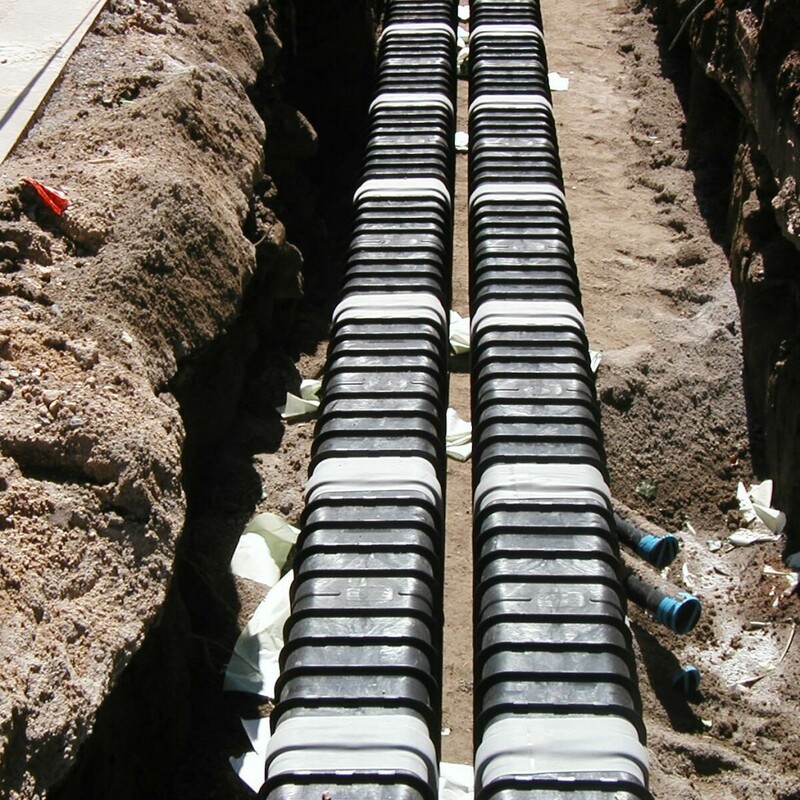 All the above mentioned problems can be eliminated through using advanced technology of laying high capacity and properly arranged multi- channels and plastic cable wells. 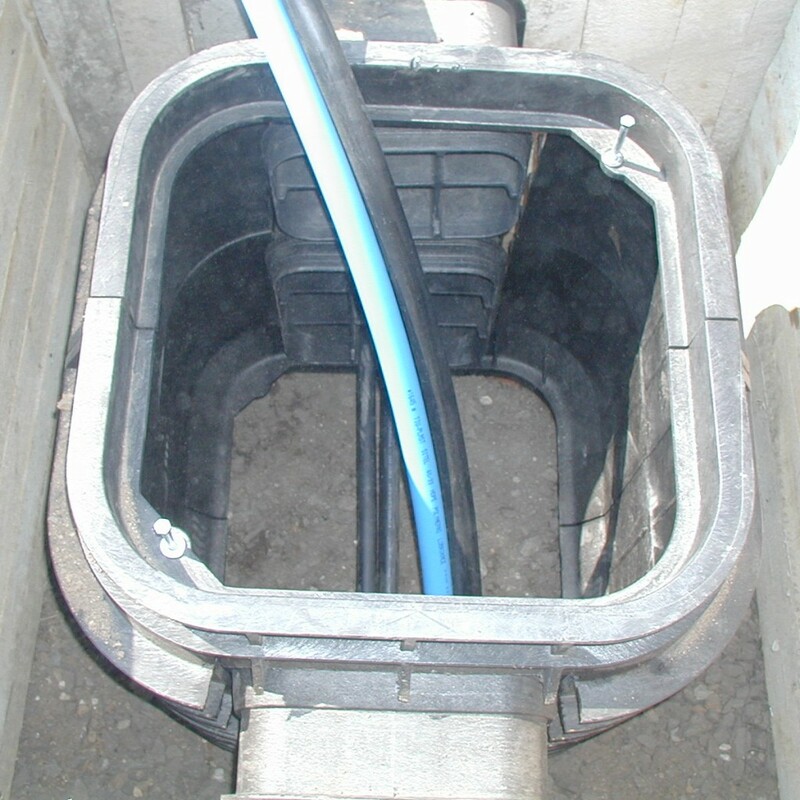 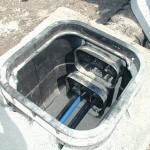 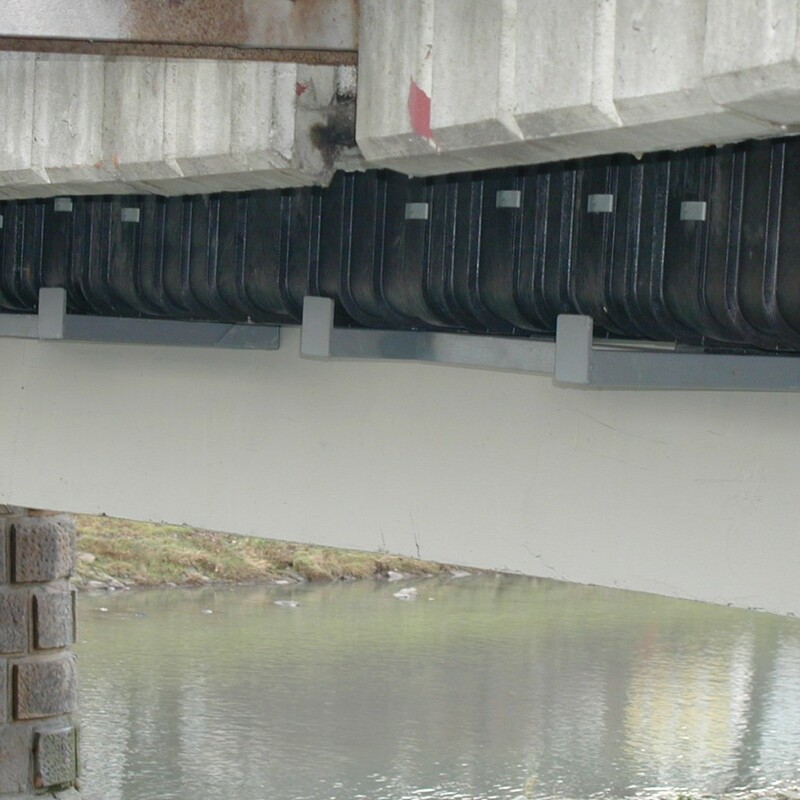 Cable wells and multi-channels are made of high density polyethylene (HDPE) and their advantages are high flexibility, easy modification and simple installation. 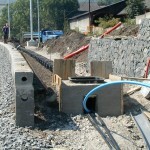 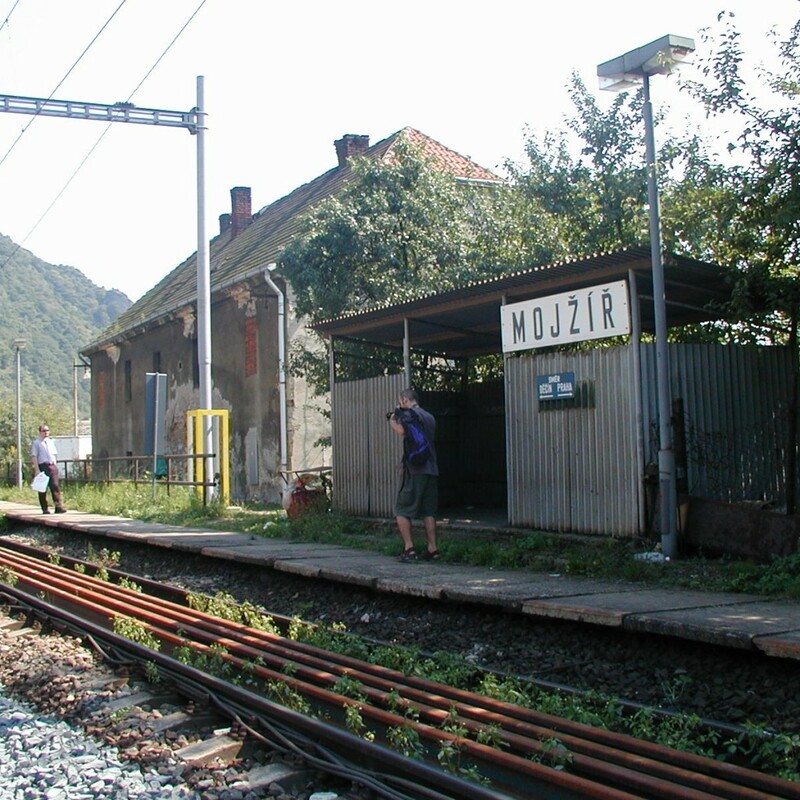 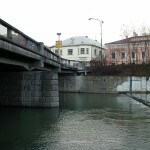 (video presentation is available on the homepage). 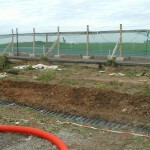 chlorofluorocarbons (CFCs), e.g. 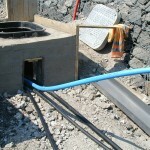 freon, are not used in the manufacturing process. 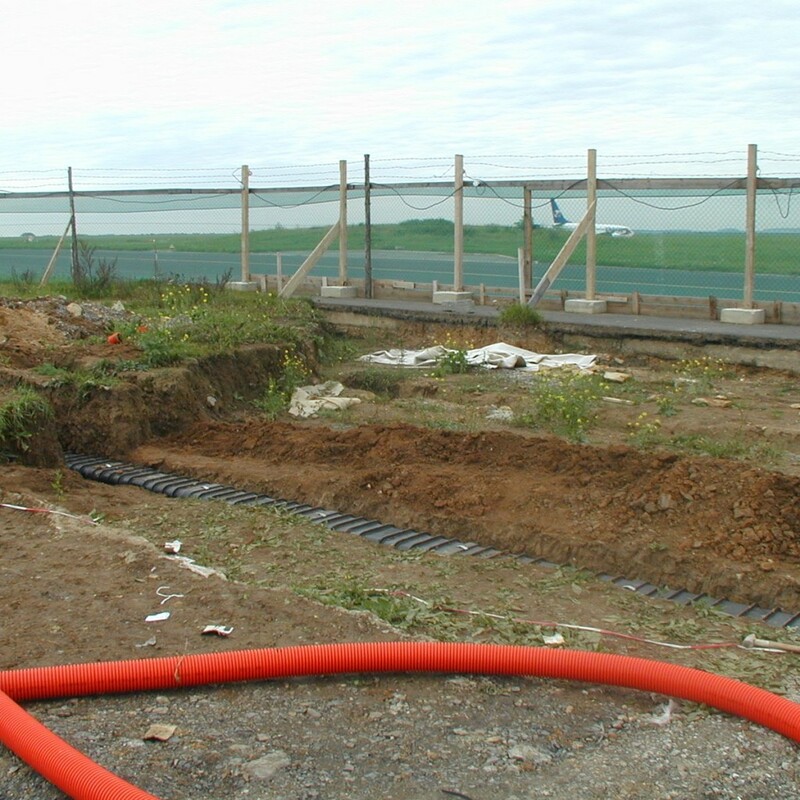 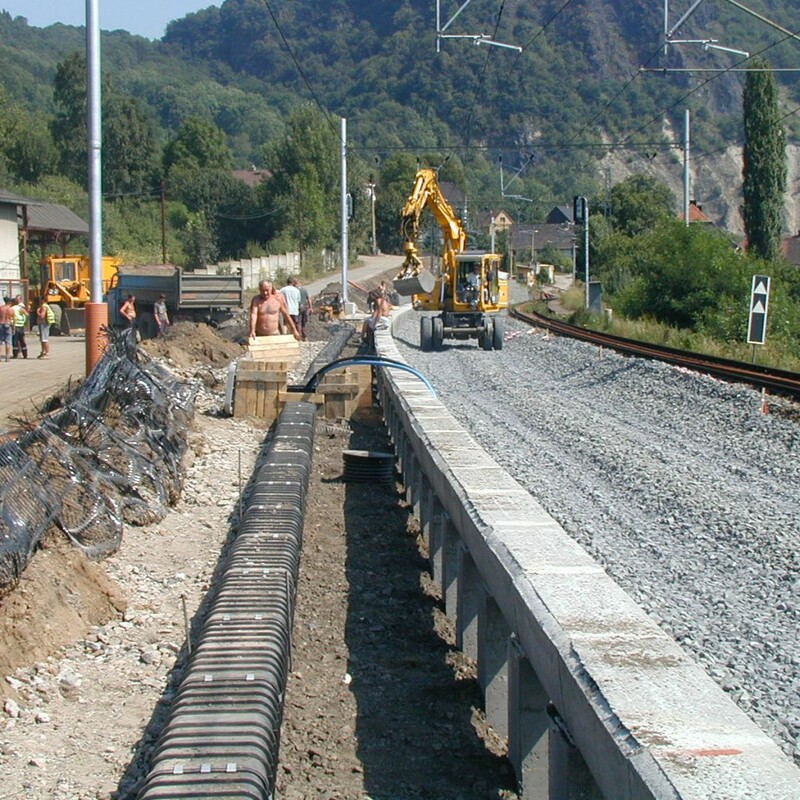 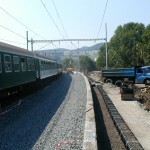 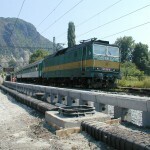 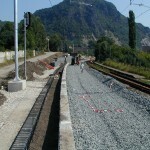 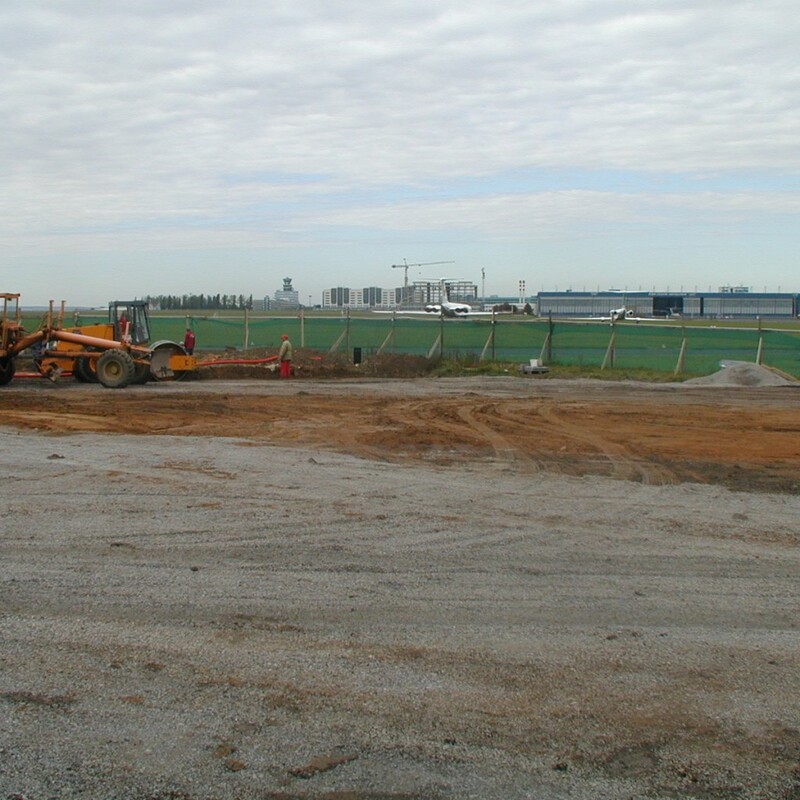 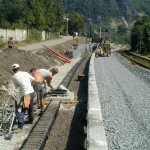 Laying cable channels, extra drilling, railway routes, construction of backbone network, wind farm, etc. 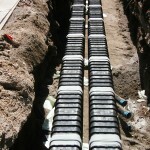 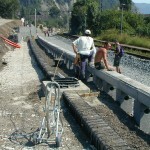 Use of silicon oil is recommended for installing multi-channels.